If you live in a “hot” housing market such as Los Angeles, it’s important to be able to move quickly and create an offer that a seller cannot refuse. With so many potential offers, however, how do you stand out? Owner occupied loans can help you appeal to sellers and move quickly into your new home in record time. What is the Owner Occupied Loan? An owner occupied loan is a loan given to homeowners who want to purchase a new home and promise to live in it rather than rent it out or use it purely as an investment property. Owner occupied loans are given without contingencies. In most cases, when a homeowner wants to purchase a new home, they must include a contingency in their purchase offers. This means that the homeowner can only commit to their offer to purchase the new home if their old home sells within a specified period. However, owner occupied loans allow homeowners to move forward with the purchase of a new home without this contingency. In order to obtain an owner occupied loan, the homeowner must be willing to live in the home for a specified period of time. This time frame is usually one year, but depends on the specific property and its location. The loan itself can be underwritten and closed within 5-14 days, which offers quick a turnaround for buyers. Who should take out an Owner Occupied Loan? Owner occupied loans are perfect for homeowners interested in moving into a new home, but who want to purchase their new home without contingencies. These loans are also perfect for homeowners who are interested in purchasing a new home and can afford to do so, but who do not currently have a standard stream of steady income. The loan is based on the homeowner’s net worth and can include investment income as a determining factor for underwriting the loan. It also looks at the loan to value (LTV) percentage. Taking the loan amount needed and dividing it by the property value of the home determines the LTV of a property. First Bridge Lending prefers to lend to homeowners who have a 65% LTV percentage or lower because it demonstrates that the homeowner will have a greater equity stake in the property. The lack of contingencies and strict income requirements also make these loans perfect for homeowners who want to move quickly in hot markets. When homeowners live in hot housing markets such as Los Angeles or San Francisco, they need to be able to move quickly. They will often be competing with five to seven other potential buyers. Submitting an offer without contingencies gives these buyers an upper hand and can make their offer more appealing to the seller. Owner occupied loans also are seen as “cash offers” by sellers and can help buyers compete with “all cash” offers. This can be especially helpful for homeowners living in hot real estate markets with fierce competition. What makes the Owner Occupied Loans at First Bridge Lending unique? Many lenders and mortgage brokers choose not to offer owner occupied loans. First Bridge Lending is prepared to offer owner occupied loans to qualified candidates in order to help them quickly move into a new home. 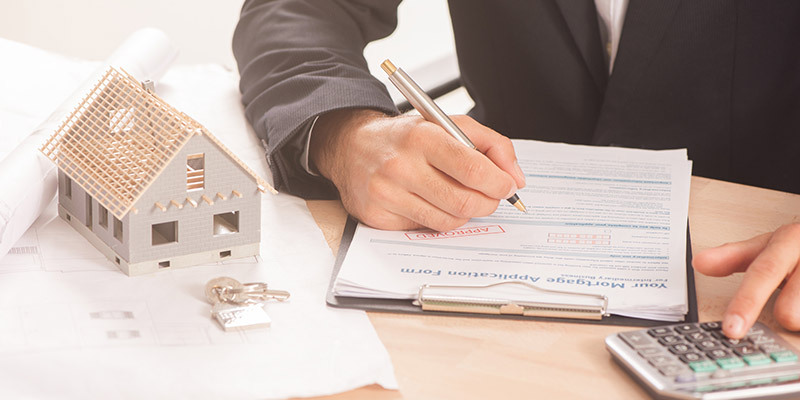 One of the reasons why you rarely see owner occupied loans offered as an option with other lenders is because of the intense regulations required by the government. Regulations at both the federal and state level keep mortgage brokers from offering these loans simply because of the work involved. First Bridge Lending, however, has extensive knowledge of these regulations and experience in complying with them. For more information on First Bridge Lending and our lending practices, please contact us directly by calling 949-373-5910 for our Newport Beach office and 415-366-1235 for our Petaluma office. We look forward to helping you with your owner occupied loan.